The juxtaposition of these masters paintings on a colorful backdrop somehow downgrades the collection in a way that makes it look like something purchased from a flea market vendor, and the addition of rhinestones, brand logos, and embellished lettering seemingly underscores this lowbrow vibe. While we wouldn’t go so far as to call it offensive, it seems to be equidistantly removed from both elegance and edginess, something that Louis Vuitton CEO Michael Burke has publicly conceded, albeit he has a slightly different take. Ever since Louis Ghesquiere took the helm at Louis Vuitton, the brand has flourished in a way that always happens in the fashion world when a fresh set of eyes breathes new life into a storied institution. But even the most visionary of re-brandings are not immune to the occasional stumble as they reclaim their cool-kid status. 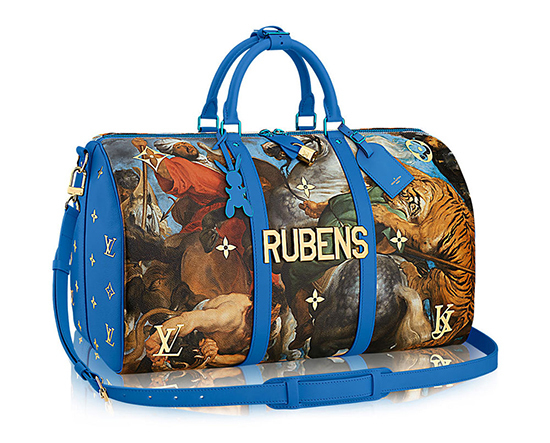 If the buzz in the fashion press is to be believed, the latest collaboration between Louis Vuitton and artist, Jeff Koons, is one such stumble. 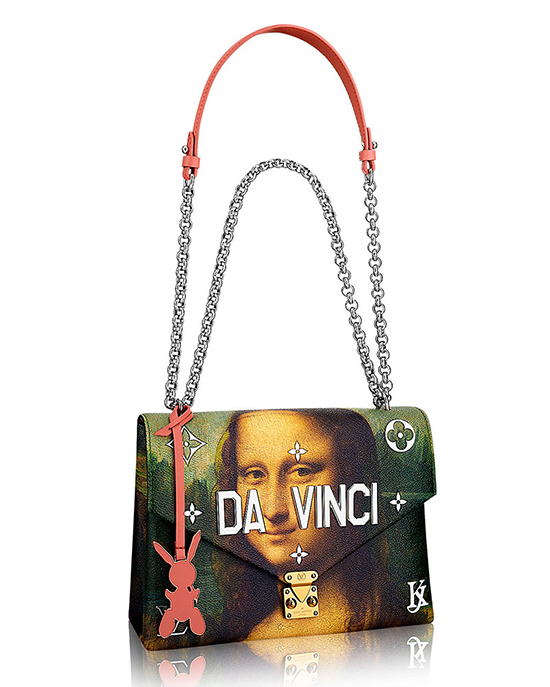 The idea is not exactly revolutionary; Koons has used an edit of masters paintings as a backdrop for this collection of bags, and added what can only be described as embellished “captions”. The end result? Less than spectacular.